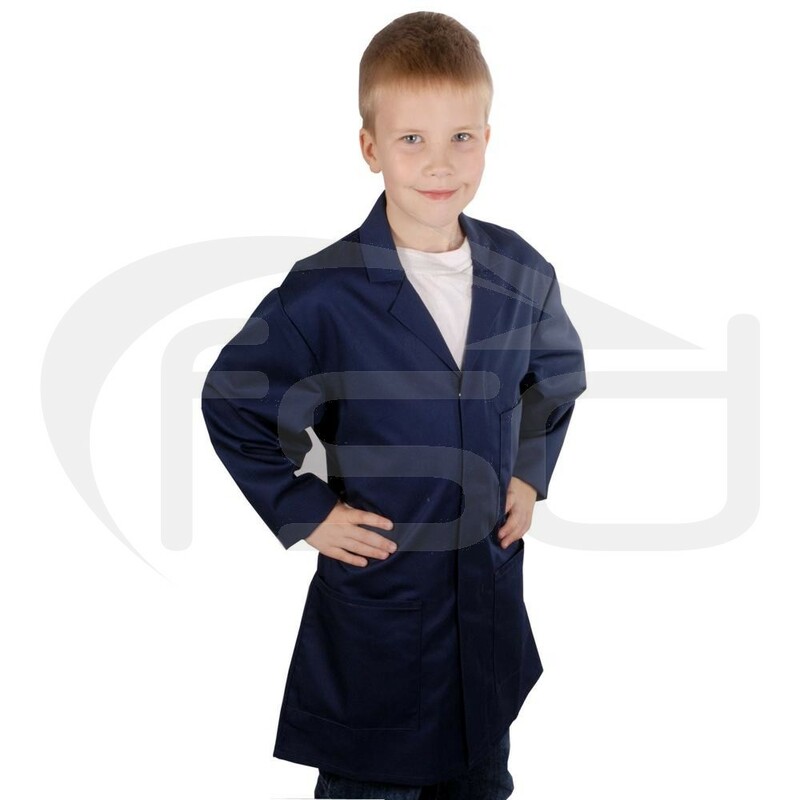 Kid's navy work coats offered in a range of sizes. 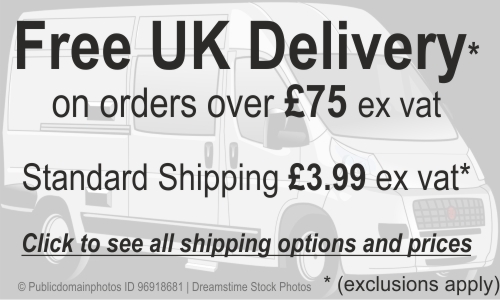 Ideal for technology classes, painting or any situation where you need to protect clothing. 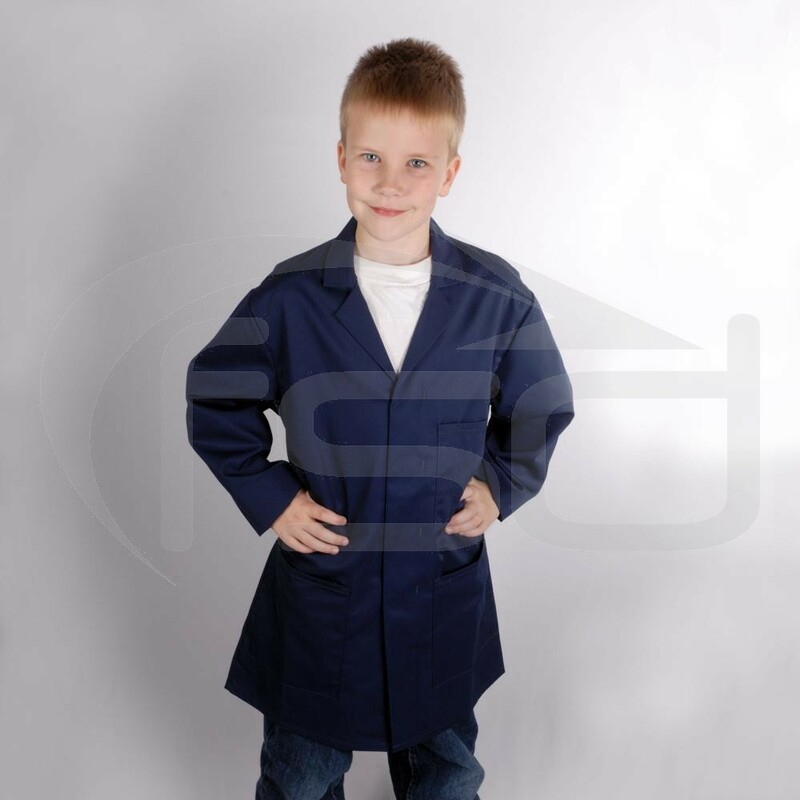 Kid's navy work coats offered in a range of sizes. Bought this coat for my son to wear for when he is helping out his grandad in his man cave! The coat is really well made and should stand up to lots of abuse, plus he is over the moon that he matches his grandad.